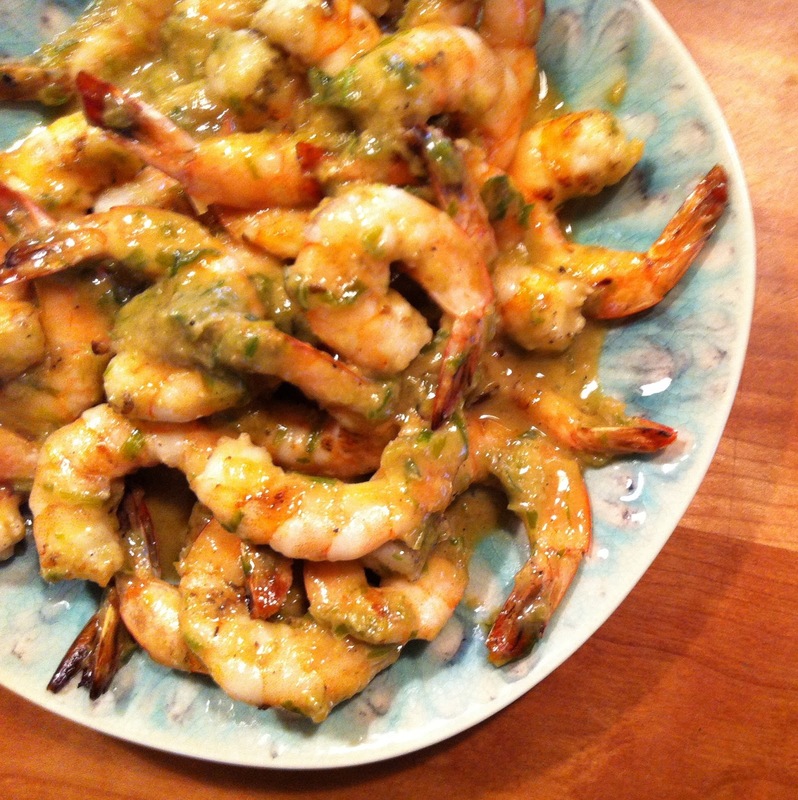 I forgot how incredibly tasty a scallion sauce could be until I was inspired to serve this one up with grilled shrimp last week after recently seeing one on a Chinese restaurant menu. In a Cuisinart after combining one bunch of chopped scallions, a tablespoon each of chopped ginger, soy sauce, rice vinegar, and a half a tablespoon of salt, blend and drizzle about a quarter cup of vegetable or grape seed oil to smooth and thicken. Salt and pepper your shrimp before cooking then simply toss with the sauce. Serve hot, warm, or chilled, great either way. And just as amazing with chicken, pork, or fish.